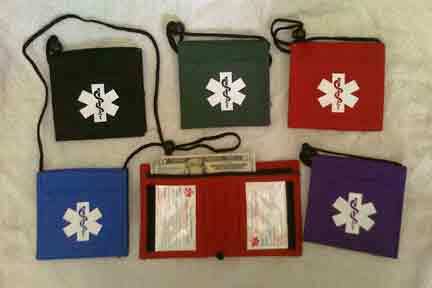 All Medical Alert Wallets, Neck Wallets have a medical symbol on the outside. Your choice of colors and style. 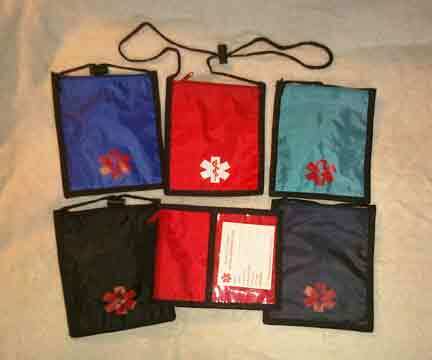 The 'open top nylon neck wallet w/ 1 gusset zipper pocket', 'nylon neck wallet w/ 2 zippered pockets', 'the nylon neck wallet 1 top zipper' and 'the nylon bi-fold neck wallet'. 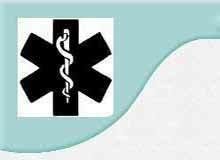 Easily take your medical information and take your daily medical supplies with you. Click on a picture or a word link for more info and/or buy. 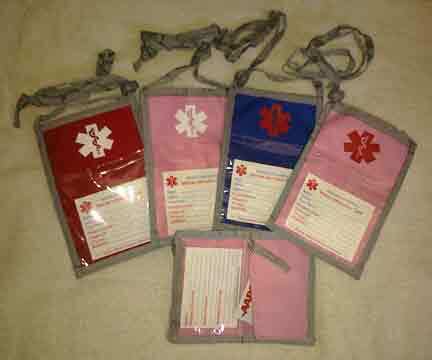 "Feel Safe and Secure with Medical Alert Wallets"
"Copyright, Medical Alert Wallets. All rights reserved"